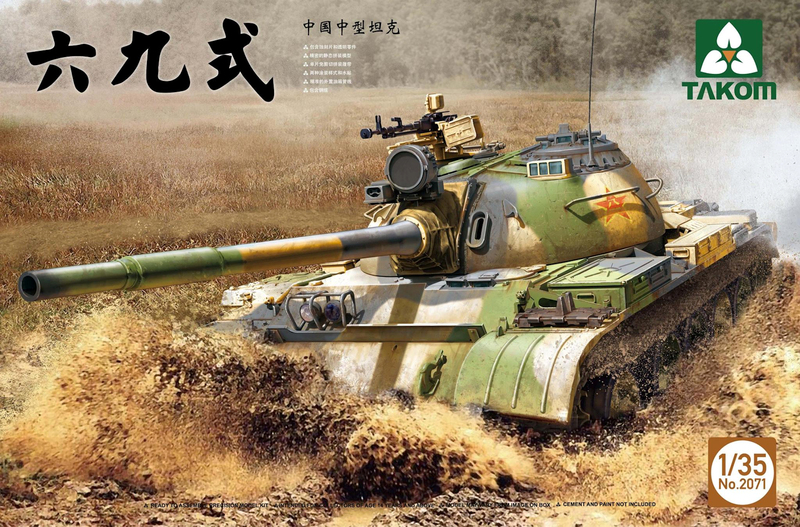 Takom has announced that in early May 2016 for a Chinese release only (yeah right EBAY) - that they will release the Type 69-I and Type 59 Chinese tanks. These two boxings in 1/35th scale are both exclusive Chinese market releases will be cheaper and simpler kits, with rubber tracks and fewer parts than the kits being released globally. 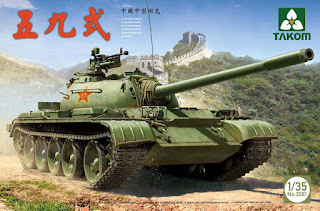 Type 69-I is not the same kit as the Type 69-II. The former will only be available in the Chinese market (along with the Type 59), but the Type 69-II will be in worldwide distribution. Takom are looking to further simplify production and then at our end the construction of kits – hopefully their ease of construction goes hand in hand with their usual quality – let’s have a look at the box art for these two and the Soviet SPAAG AA gun also. 2. Monolithic free shear bricolage (Vinyl) tracks. 4. External fuel tank lines. 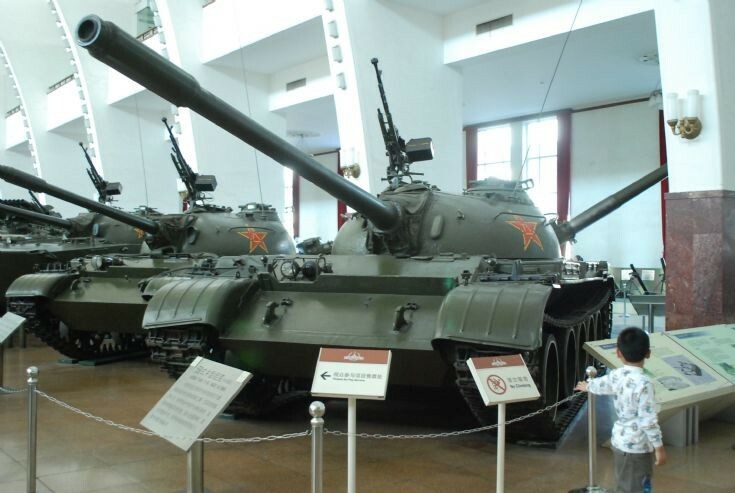 The ZSU-57-2 self-propelled anti-aircraft gun was developed since late 40s. 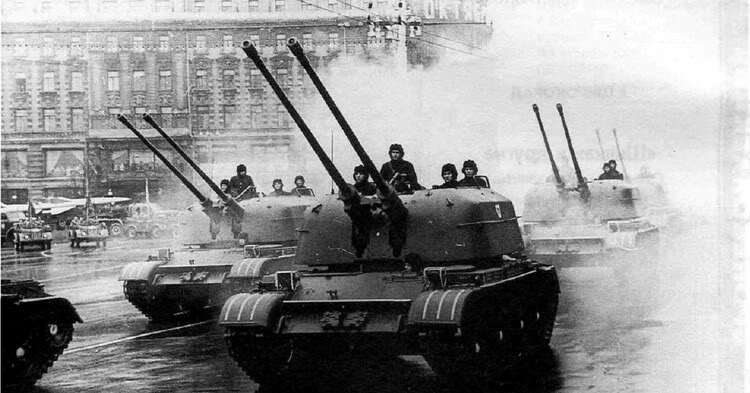 It entered service with the Soviet Army and production commenced in 1956. It was later replaced by a much more effective ZSU-23-4 Shilka. 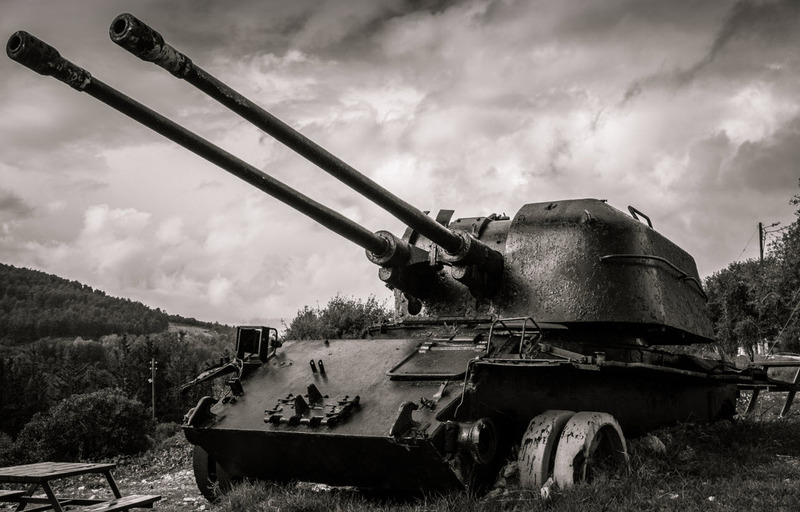 Despite its age the ZSU-57-2 is still in service with a number of countries. This SPAAG is fitted with two 57-mm S-68 guns, similar to the S-60 single towed anti-aircraft gun. 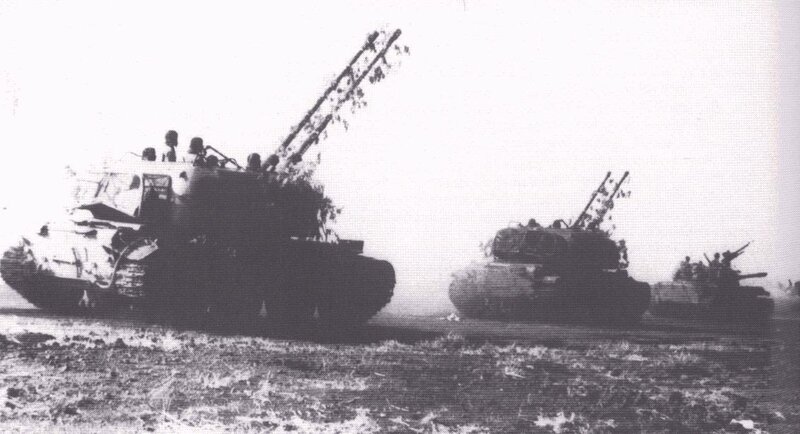 These guns are air-cooled, so after firing of 50 - 60 rounds in intensive mode guns have to cool down. These guns are fed from magazines. Each magazine holds four rounds. The ZSU-57-2 fires fragmentation-tracers against air targets and armor-piercing tracers against ground targets. Direct hit of a single 57-mm round caused destruction of a fighter or attack aircraft. The ZSU-57-2 has no radar and uses open sights instead. It also cannot be used successfully at night. Optical sights are used to engage ground targets. This SPAAG has a very thin steel Armor (maximum thickness 15 mm). The vehicle has a crew of six, including commander, gunner, assisting gunner, two loaders and driver. 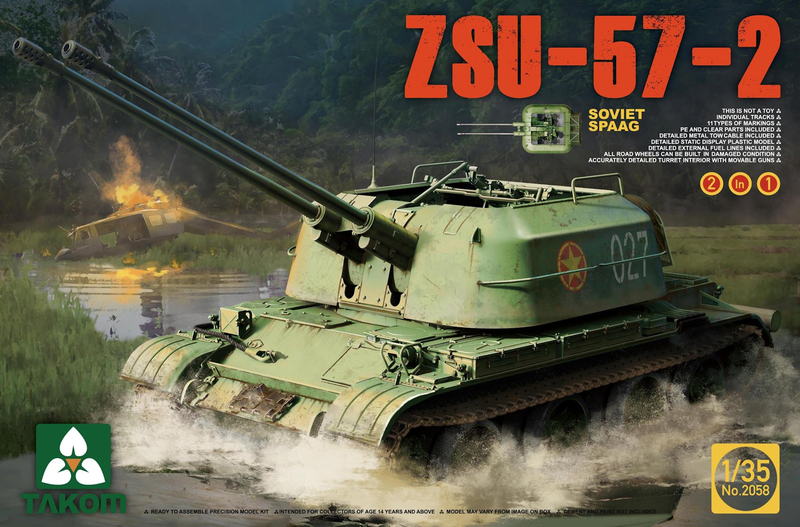 The ZSU-57-2 SPAAG chassis uses many automotive components of the T-54 medium tank. Road wheels can be built in a damaged condition.